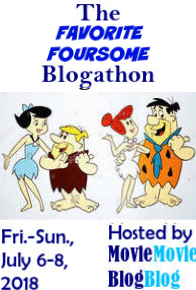 More greatest posts for Day 3 of the blogathon! Nostalgic Italian is impressed by the stunning visuals and twisty plot of The Third Man. MovieRob finds his usual aversion to foreign films did not keep him from appreciating the genius of The Seventh Seal. He’s also wowed by the imagery and imagination of Metropolis. Moon in Gemini finally gets around to seeing The Hidden Fortress and studying its influence on the Star Wars franchise. Thoughts All Sorts is still pondering the chicken-and-egg situation in The Terminator. Cinematic Scribblings corrects some misconceptions she’s had for a long time about the 1925 silent version of The Phantom of the Opera. There still may be more posts coming in later tonight and/or tomorrow, so keep and eye out of a final wrap-up post. In the meantime, thanks to all the bloggers who have participated! Hi Debbie, here is my post on The Man With the Golden Arm! Sorry again for the little delay! I had a lot of fun writing about it. Thanks for hosting! Of course! I will add you to the final wrap-up tonight. Next Next post: Greatest Film I’ve Never Seen Blogathon – Final Wrap-Up!